Excalibur Motorsports has been appointed as the exclusive distributor in the U.S. by TGB. TGB is known for its unparalleled product quality and customer service. Three top selling models are available for sale now. They are Key West 50, X-Race 50 and Express 50 (Delivery Scooter), all equipped with a very durable and powerful 2-stroke (49.3cc) engine (EPA approved) with a fully automatic transmission. The power and nimbleness are unbeatable in its class. 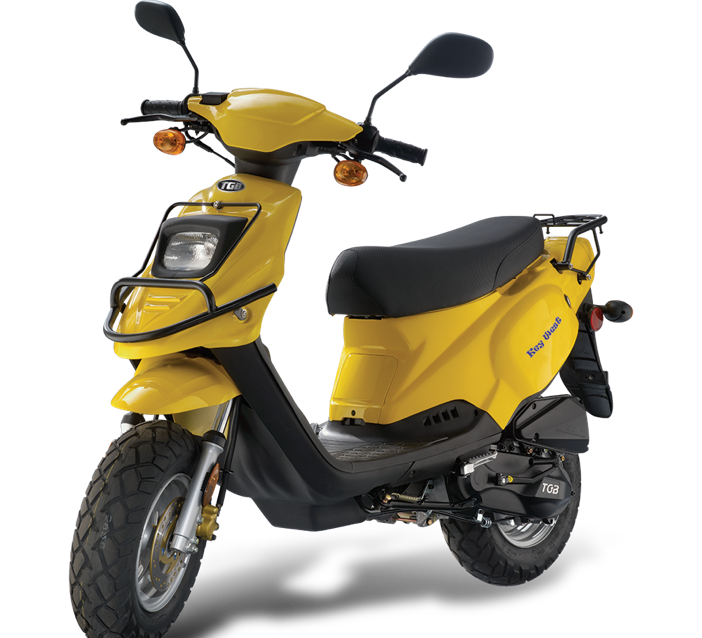 Each scooter is manufactured to the industries highest standard in terms of quality and durability. They are shipped fully assembled. The workmanship, fit & finish derive from the heritage of decades’ collaboration with Italian Vespa since 1978 and continues to this day. Furthermore they are all backed up with a parts & labor warranty.